Create a tranquil environment for your little one at bedtime with Slumber Buddies. 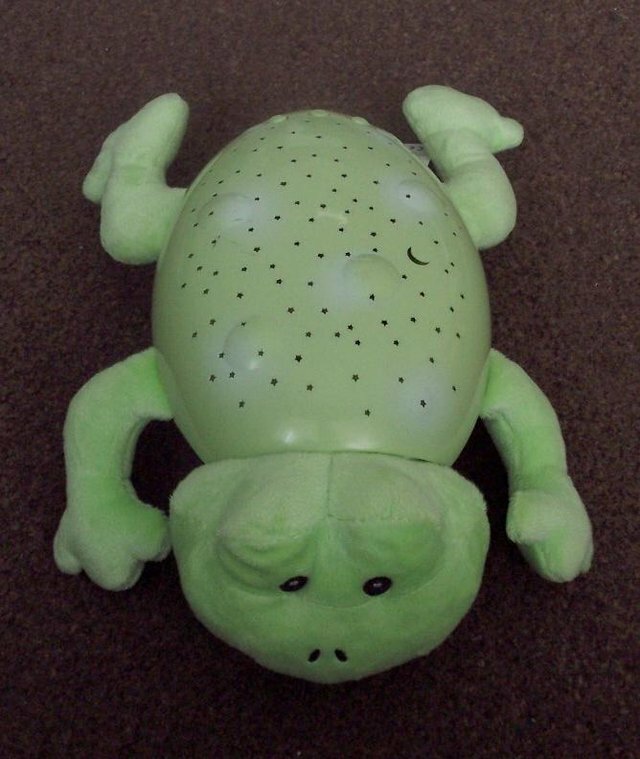 This soft, plush frog companion is the perfect sleeping buddy for children of all ages. A calming starry sky display and a peaceful selection of sounds help relax and soothe baby to sleep. Good condition and good working order.